That’s the sound of the Prophets working on the chain. Posted in: General Information. 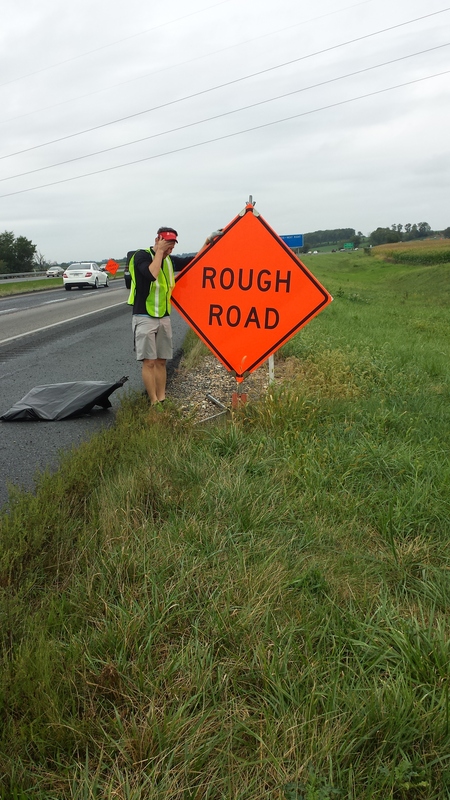 Tagged: Cleanup, Highway. This is our PENNDOT impression. These were the words echoing along Rte. 283, between Snyder Road and the Elizabethtown / Rheems exit, on the morning of September 13, 2014. 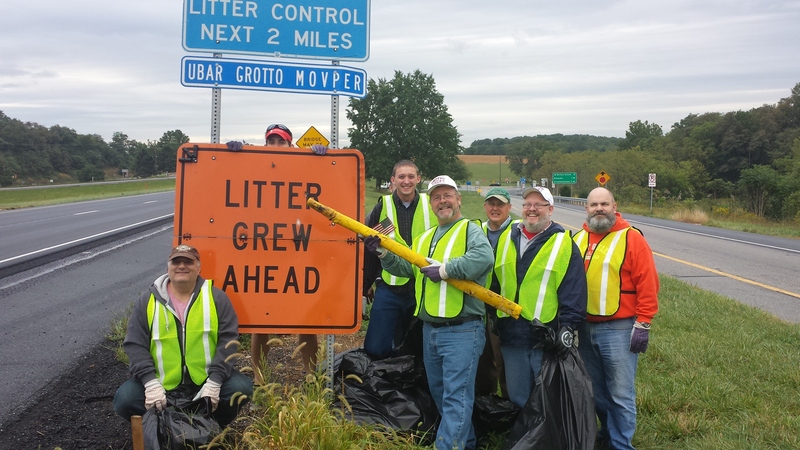 Ten Prophets of Ubar Grotto, united by Sympathy and Good Fellowship (and also by a delicious breakfast) met to perform the bi-annual cleanup of the highway, which was adopted by the Grotto. It’s hard to write an article about picking up other people’s trash on the side of the road, so we decided to let the Prophets speak for themslves regarding their experience. Until next time, enjoy your clean highways, Pennsylvania! P.S. – This picture sums up how Pro. David Labagh, Chief Justice, feels about his impending year.